Since 1997, Majors Home Improvement has provided shutter installation services for homeowners in Crestview, Florida, and all surrounding areas. 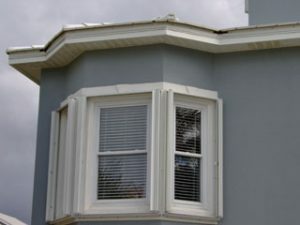 Our shutters are custom-configured to fit each home exactly, and they meet Miami-Dade County Building Code requirements, which means they will safely protect your windows during storms. We manufacture our hurricane shutters ourselves, so they are made right here in Florida for Florida homes, and you can expect them to be of the highest quality. During a complimentary consultation, our experienced design consultants will guide you through the process of selecting the shutters that perfectly complement your personal taste and your home’s architecture. And, you can count on a professional shutter installation from our team of highly qualified and factory trained craftsmen. They will work quickly, yet precisely, to install your shutters, leaving behind a clean home when they are finished. What’s more, when you turn to Majors for new shutters, you can expect a Red Carpet experience, which means we will bend over backwards to make sure you are satisfied with our team and the services we provide. This dedication to our customers is part of the reason we’ve maintained an A+ rating with the Better Business Bureau and a five-star rating with GuildQuality for years. To schedule a shutter installation at your home in Crestview, FL, or a surrounding city, contact Majors Home Improvement today.